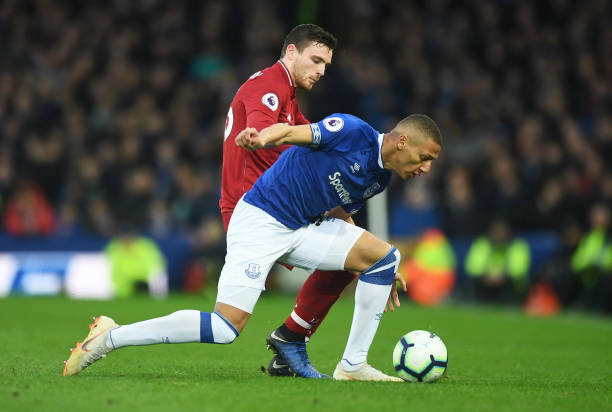 Liverpool were held to a goalless 0-0 draw by Everton in Sunday's Merseyside derby, the fourth draw in six games for Jurgen Klopp's side. City, Who won 1-0 at Bournemouth on saturday, have 71 points while Liverpool are on 70 with both team having nine games to play. It promises to be a tense and thrilling finale to the season but Liverpool will need to regain their momentum quickly if they are to push for their first league title since 1990. “ We become the chaser now and all the pressure is on Manchester City, said Liverpool full-back Andy Robertson.